Rip/copy Filmfare Awards 2019 movies DVDs of winners and nominees for better enjoyment and storage of greatest Bollywood movies. The long-expected Bollywood movies festival, Filmfare Awards called Indian Oscars was held to celebrat its 64th ceremony on 20 January 2019. Presented by the Filmfare magazine, it will honor the best Hindi film in 2018. 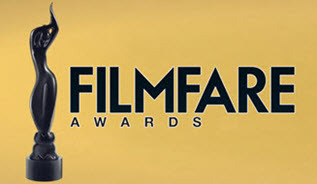 In this article, will discuss everything about Filmfare Awards 2019 and introduce the best way to rip/copy Filmfare Awards movies DVDs for better storing and watching the greatest Bollywood Filmfare Awards winning/nominated movies on PC/Mac and mobiles. WinX DVD Ripper Platinum is the best solution to make a digital copy of Filmfare Awards (2019) movies on DVD to MP4, AVI, WMV, Apple/Android/Windows devices and deliver crisp resulting video at a super fast ripping speed. If you are a Bollywood movie addict, it is believable that you don't want to miss every Filmfare Awards best film and may have a collect on DVDs. On the other hand, you need to obtain a solution of how to keep fragile discs in a much safer way and watch those best Filmfare Awards movies on portable devices on vehicles or during journey. Well, WinX DVD Ripper Platinum is the right choice to handle those troubles. 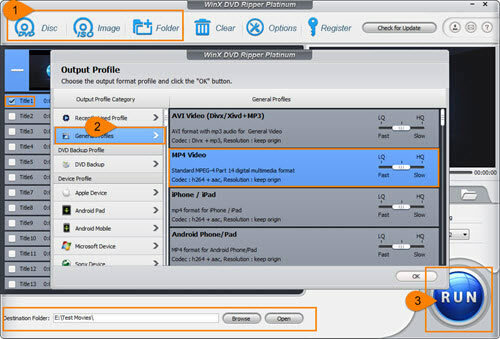 WinX DVD Ripper Platinum is a professional DVD ripping tool aiming to rip and convert any DVDs to MP4, H264, AVI, WMV etc, and iPhone, iPad, Android, game consoles (Xbox, PS3/4 etc.) on PC/Mac with possible highest audio/video quality. It is powerful on removing copy-protections of latest movies DVDs and delivering a very fast speed due to Hyper-threading technology and Multi-core support. It is also available to 1:1 copy DVD to ISO image, VIDEO_TS folder and a single MPEG2 file from main/full title. DOWNLOAD and install this best movie DVD ripper on your computer. Follow the steps to rip Filmfare Awards (2019) movie DVD. Click DVD Disc to import movie source to WinX DVD Ripper Platinum after inserting disc into DVD-ROM. Instead, you can choose to rip ISO image or DVD folder to video or devices. Once all contents are loaded, the main title will be automatically checked and a smaller window will pop up for output formats selection. Select an output format, for example MP4 (codec: h264+aac). Click OK.
Set destination folder by clicking Browse button and start Filmfare Awards (2019) movie DVD ripping by hitting RUN button. Filmfare Awards, the grandest and most prominent annual India Hindi film award ceremony, is established to honor artists and technicists contributing to Bollywood film industry. Firstly introduced in 1954, only 5 awards, Best Film, Best Director, Best Actor, Best Actress and Best Music Director were given the winners based on voting. As of 2014, there are 31 awards divided into four categories, Merit awards, Critics' awards, Technical awards and Special awards not only decided by popular votes, but famous film critics. On March 23, 2019, this ceremony was held in Mumbai. In the following, let's take a look at full winners list of Filmfare Awards 2019. WinX DVD Ripper Platinum is one of the leading DVD ripping software powerful on converting DVDs of Filmfare Awards movies (winners and nominations) to mainstream video formats MP4, AVI, WMV, MOV, MPEG, FLV, 3GP etc, and fashionable portable devices, iPhone, iPad, Android, Windows Phone, Surface Pro, PS3/4, XBox, with possible highest quality and fastest conversion speed.